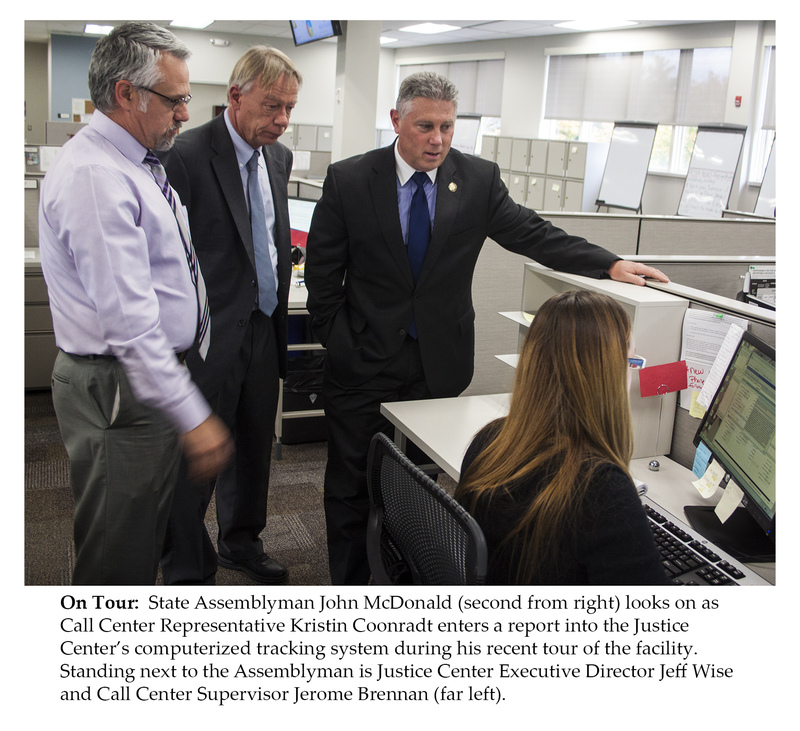 Since its opening at the end of June, the Justice Center has received more than 25,000 reports through its Vulnerable Persons Central Register (VPCR) Hotline which logs and tracks allegations of abuse, neglect and mistreatment of people with special needs who are served by state facilities and programs. More than 5,000 reports involved allegations of abuse and neglect. Another 10,000 reports were classified as significant incidents that range from improper use of restraint to administration of a medication contrary to a physician’s order. The Hotline also received nearly 100 reports alleging financial misconduct and approximately 1,200 administrative death reports, which are required to be be reviewed by the Justice Center. The remaining were either not reportable incidents or involved matters outside of the Justice Center’s jurisdiction. All incidents are immediately entered into a computerized case management system which tracks each case until it is resolved. 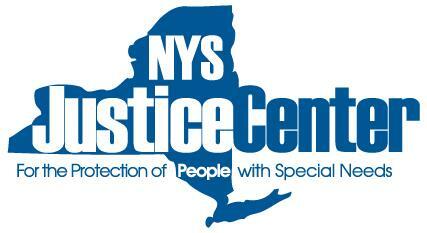 The most serious cases of abuse and neglect are assigned Justice Center investigators. Less serious cases are referred to the state agency that operates, licenses or certifies the program where the incident occurred Agencies are required to submit their investigations to the Justice Center for review. When evidence of abuse or neglect is substantiated, the Justice Center seeks prosecution of those responsible in partnership with local law enforcement agencies and district attorneys, or through the Justice Center’s own Special Prosecutor. Inmates in the state's correctional system have better access to mental health treatment services thanks to the joint efforts of the Justice Center, the Department of Corrections and Community Supervision (DOCCS), and the Office of Mental Health (OMH). Under the state’s Special Housing Unit (SHU) Exclusion Law, the Justice Center is charged with monitoring and making recommendations regarding the quality of mental health care provided to inmates with serious mental illness. Past recommendations have included expanding inmate evaluations to include substance abuse issues, better control and oversight of psychiatric medications, more appropriate evaluations regarding suicidal intent, and improved staffing to ensure inmates have better access to mental health services. Both DOCCS and OMH have worked to implement these changes. As part of efforts to further enhance mental health services within the prison system, correctional officers now receive eight hours of instruction on how to identify and respond to inmate’s mental health issues. Officers who routinely work with inmates with mental health problems receive an additional eight hours of training and complete an annual refresher course. As part of the monitoring activities, representatives from the Justice Center recently attended the SHU training held for DOCCS and OMH staff who work at the Bedford Hills Correctional Facility in Westchester County. 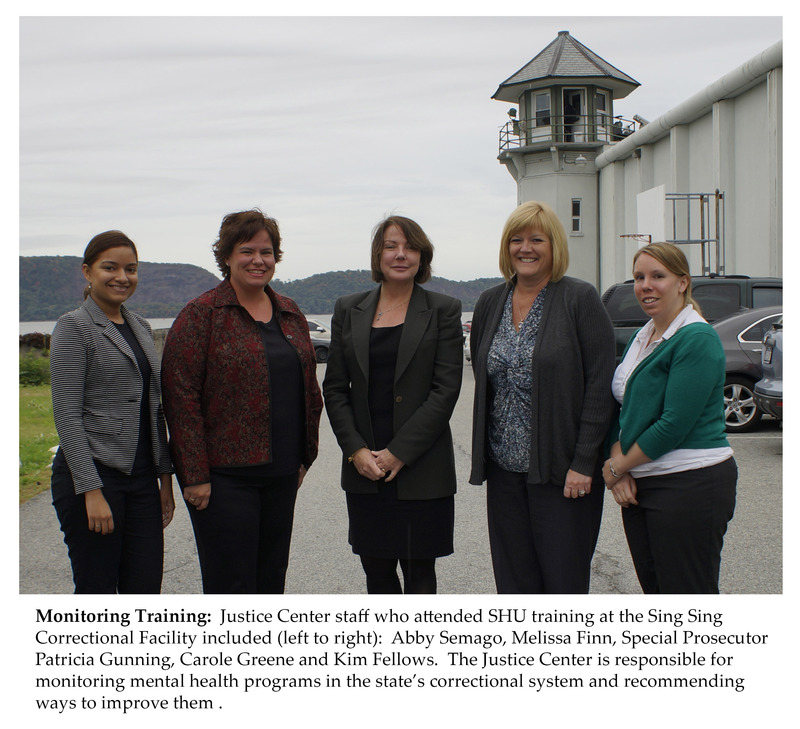 The training was held at the Sing Sing Correctional Facility in Ossining. Governor Andrew Cuomo has signed two bills that strengthen protections for people with special needs. The first doubles the number of unannounced inspections required to be conducted at facilities caring for the developmentally disabled operated or licensed by the State Office for Persons With Developmental Disabilities (OPWDD). Under the old law, unannounced inspections were only required to be conduction once a year. However, facilities deemed to have provided long-standing high quality care could only face surprise inspections once a year under the new law. The new requirement takes effect immediately. The second bill expands the provisions of “Jonathan’s Law” by providing relatives of individuals with disabilities who have been abused in state facilities with the ability to share information contained in their state records. The original law, signed in 2007, required facilities to send reports and recorded incidents of abuse to family members in a timely manner, but prohibited them from sharing the information with anyone. The changes approved by the Governor now allow these reports to be disclosed. The amended law noted that the original confidentiality provision was "interpreted inconsistently" and was "at odds with the legislative intent" of Jonathan's Law. Individuals with special needs and their family members now have a liaison dedicated to assisting them with questions or concerns about allegations of abuse and neglect reported to the Justice Center's Vulnerable Persons Central Register Hotline (VPCR). Ms. Dee Levy will serve in this capacity as an Individual and Family Support Coordinator. In her new position, Ms. Levy will assist both persons receiving services, as well as their parents or guardians. She will also provide guidance should they be required to appear as witnesses or file victim impact statements. 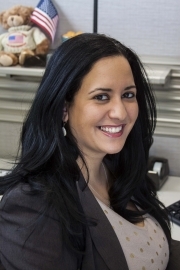 Ms. Levy received her Master of Social Work degree from Stony Brook University and worked for the NYS Assembly as a Senior Analyst with the Codes Committee. Prior to that, she was employed as a Domestic Violence Residential Counselor with Equinox Inc. where she provided assistance and referrals to victims of abuse.